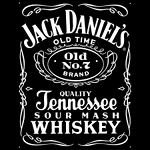 Jack Daniel’s is the most popular American whiskey in the world. That seems to scare a lot of American Whiskey fans, but then again Johnnie Walker Black Label is the biggest selling Scotch, and (with some rough estimates) probably sells a comparable amount to the entirety of the single malt category – that is much scarier, especially if you spend most of your life within the whisky geek echo-chamber. Anyways, JD has been shooting up in price since the bad old days when I used to be a regular purchaser but the festive season brings out stupid deals, and £16 for a bottle (25% cheaper than we do it for at work) at Tesco was enough of a temptation for me to grab some. I’ve not tried it in a while and thought I’d give it a go – cue a #LastDrinkOfTheWeek. The Cult of Jack Daniel’s (capital letters required) is a thing that scares me. On our work Facebook page the mention of a JD product immediately draws in more likes and shares than anything else, and the recent Jack Daniel’s Sinatra Select (a blend of regular Old No.7 and whiskey matured in special ‘Sinatra’ casks with grooves in the staves for extra wood contact) has sold really well, despite a £150rrp and gasps of astonishment from other whiskey drinkers. JD collectors sit on my ‘scary people in the whisk(e)y world’ list just below mini-collectors, and the average JD consumer’s love of the brand is something that almost every other whisky company must aspire to. Looking at it from a business perspective it’s something that constantly impresses me. An intoxicating liquor may not be advertised, described, labeled, named, sold or referred to for marketing or sales purposes as”Tennessee Whiskey”, “Tennessee Whisky”, “Tennessee Sour Mash Whiskey” or “Tennessee Sour Mash Whisky” unless the intoxicating liquor is: (1) Manufactured in Tennessee; (2) Made of a grain mixture that is at least fifty-one percent (51%) corn; (3) Distilled to no more than 160 proof or eighty percent (80%) alcohol by volume; (4) Aged in new, charred oak barrels in Tennessee; (5) Filtered through maple charcoal prior to aging; (6) Placed in the barrel at no more than 125 proof or sixty-two and one-half percent (62.5%) alcohol by volume; and (7) Bottled at not less than 80 proof or forty percent (40%) alcohol by volume. Other than parts 1 and 5 that’s all the same as bourbon. 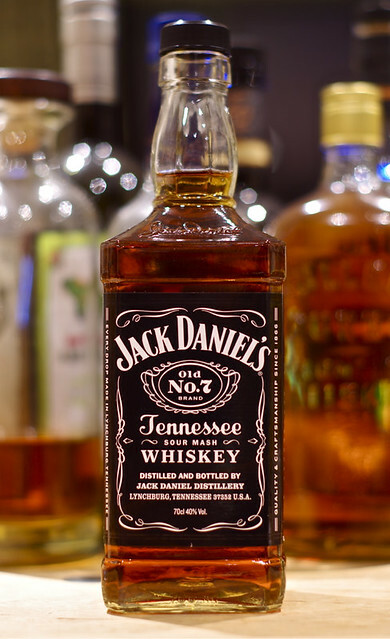 However, I’ve bolded part 5, the bit that’s potentially controversial – it enforces that all Tennessee Whiskey must be filtered through charcoal before ageing, the ‘Lincoln County Process’ that JD has championed over the years. Until recently that wouldn’t have been much of an issue as there weren’t many distillers in Tennessee, and almost all of them (apart from Prichard’s, who specifically have an exemption due to being around for a while) already used the process in production. However, the explosion of craft distilling means that there are now a few more distillers popping up who don’t fit in with the mould. The regs seem very explicit as to what you can write, so I expect to see some “Tennessee Rye Whiskey” or “Tennessee Bourbon Whiskey” popping up in a court case sometime soon. We shall see how things go. Anyways, Old No.7. On the nose it has brown sugar syrup, sour raisins, Mr Sheen, sappy resin and hints of Copydex funkiness. To taste it’s initially sweet, but not overly so, with a fairly watery body. Behind that there’s some perfumed wood, a hint of cinnamon, orange peel and a light chocolatiness – like hagelslag on toast (which reminds me – I must obtain hagelslag. And toast). The finish was fairly short, with Terry’s Chocolate Orange, more Mr Sheen and some charred notes. I’m probably a scary Jack Daniel’s collector. I think I have 24 full bottles and I’m expecting the current Scenes From Lynchburg bottle as a birthday present, although I don’t currently have a regular bottle. I started collecting them because they did nice bottles, but recently the special bottles just seem to be a black polythene skin over a regular bottle, so I’m not that interested. The special bottles do at least seem to hold their value pretty well. I agree that they’re nice bottles – I’ve got a bunch of empties on the side (leather clad boxes, Monogram bottles, etc), but I’m happy to drink them before adding them to my collection. Thomas Speller liked this on Facebook. @cowfish lol! This was often my whiskey of choice in my 20’s.. Cheap & a bit rough around the edges. LOVED lemonade lynchers! Holly Gaskell liked this on Facebook.